Innovative Pulse Reshaping Technology allows physician to quickly switch to a longer pulse to better address bleeding and retropulsion. Holmium is well absorbed in water, penetrates tissue in a clear and controlled manner and prevents charring, necrosis and collateral damage. Lumenis Pulse 50H combined the new SlimLineTM 200 D/F/L ball-shaped fiber tip is designed to reduce the risk of damaging the flexible scope during initial fiber insertion. The combination of different laser parameters allows for a wide range of clinical procedures, including Urology, Arthroscopy, General Surgery, Head & Neck , Gynecology, Gastroenterology and more. The system is validated for the full range of Lumenis fibers to increase the system’s reliability and extend the fiber lifetime. 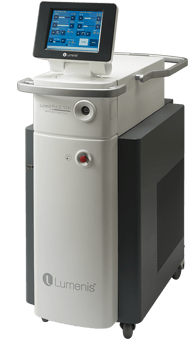 “The Lumenis Pulse 50H system provides basically all features to perform modern intra-corporeal Holmium: YAG-laser lithotripsy including a wide range of energy levels and frequencies. 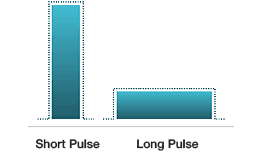 Additionally pulse duration can be extended to minimize retropulsion. The handling of the device is optimized by a double foot pedal”. Prof. Dr. Jens Rassweiler Heilbronn, Germany. Allows for easy switching between laser settings during procedure. This feature may be applied by having one pedal dedicated to hemostasis in order to address bleeding. Green aiming beam for enhanced endoscopic visibility.